As Broker Salesperson, I’ve always found ways to educate and encourage individual agents to go above and beyond the average sales agent’s customer service. 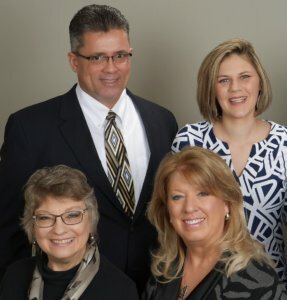 With over 20 years as clinic director in physical therapy and now serving clients for more than 10 years in real estate, it only made sense to create a team of real estate sales professionals to do the same. I have set numerous goals and implemented detailed steps to achieve positive sales results. I found the greatest results came when I use a Step-by-Step action plan. This is a huge advantage for my real estate clients because it takes the worry and stress out of buying or selling their home. I saw a great need in real estate in the area of the aging population. Families are basically in the dark when a need arises if a family member needs to move to a different type of home due to aging or health condition. Where do we start? Who do we contact to help with options, etc. My team is filling that need for families. Some of my team members are certified with their primary focus as SRES (Seniors Real Estate Specialists) and CPE (Certified Probate Experts). We are there for the aging population whether needing to downsize, move in with family, or in need of an independent care or assisted care facility. Also if the family is dealing with a probate situation due to a deceased loved one we can help them step-by-step throughout the process of dealing with an estate if the estate has property that needs to be sold. We offer our services to work with families in these tough situations as the challenges are different than a normal home sale. Other team members specialize in new construction, land, investment properties and residential home sales.